The Government of Jamaica announced bans on single-use plastic bags and straws as well as Styrofoam, taking effect on January 1, 2019. Here are some details on what that means for producers and consumers. * There will be a ban on the importation, manufacturing, distribution, and use of all single-use plastic carrier bags commonly called scandal bags. * The ban applies to bags with dimensions at or below 24 inches by 24 inches. *Manufacturers and importers of shopping bags made of polyethylene must apply to the National Environment and Planning Agency (NEPA) for limited exemptions. These applications will be considered on a case-by-case basis for continued manufacture and importation no later than January 1, 2021. 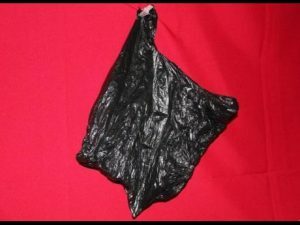 * Consumers are being encouraged to use reusable carrier bags, particularly by local enterprises. * The ban will apply to the importation of polystyrene foam, commonly referred to as Styrofoam, used as finished goods in the food and beverage industry i.e food and beverage containers. * The local manufacture and distribution of polystyrene foam for use as finished goods in the food and beverage industry will be banned as at January 1, 2021. * The use of polystyrene for the packaging of food items such as raw meats will be exempt. * Producers of products which utilise such packaging must apply to NEPA for limited exemptions. * Industry is encouraged to manufacture/distribute paper-based and other environmentally friendly alternatives for the domestic market. * There will be a ban on the import and manufacture of plastic drinking straws. * There will be no ban on wax-lined paper straws or other non-plastic straws. * The importation of straws attached to lunch juice boxes and drink pouches will be banned as at January 1, 2021. This deadline was arrived at based on the Government’s discussions with the private sector regarding the timeframe for the conversion of existing equipment. * For the medical sector as well as persons with disabilities, drinking straws made from alternative materials such as paper or bamboo are not always suitable. In light of this, exemptions will be examined in consultation with key stakeholders. Applications for such exemptions should be applied through the NEPA. * The guidelines for application for exemptions for the specific categories of plastic packaging materials will be developed by NEPA in consultation with the relevant public sector agencies. These Guidelines will be posted on the JIS and the Agency’s websites as well as circulated to the affected private sector stakeholders.